A good and efficient catering service for your party or event can take the weight off your shoulders. At Salt of the Earth, we aim to do exactly that. We provide premium catering services in and around Sydney. Whether it is a large gathering or a small get-together of just a few people, we provide catering services to all. At Salt of the Earth, we make each event special and memorable by providing the tastiest food displayed in the most creative style. All the guests attending will be enthralled by our catering services. Our chefs, masters of their culinary skills, prepare exquisite meals that reflect their countless years of experience in the kitchen. We can provide you with a team of our friendly and professional staff to take care of the serving and taking care of your guests. You can enjoy your own party alongside your guests whilst we take care of the rest. Our catering services are amongst the best in Sydney and we strive to be at the top. Our customers have always been delighted with our exceptional food service and layout. We pride ourselves on our return customers, having clients come back to us for a second taste is the best compliment we can get. Salt of the Earth is always with you at every step to make your event successful. Don’t take risks with your events throughout Sydney, ensure your party is the best it can be with Salt of the Earth. Contact us to get a professional catering service at your doorstep ready to take care of your event. If you only require our delicious food to be dropped off to you we can deliver for $35 to anywhere on the North Shore & Northern Beaches, Monday-Sunday, 7am-7pm. (Further delivery charges apply for delivery outside of these areas, please contact us for a quote). Perfect for corporate functions or DIY occasions. We can provide you with platters if you don’t have your own, they are reusable and are yours to keep after the function. We also provide you with cocktail napkins to go with your order – free of charge! 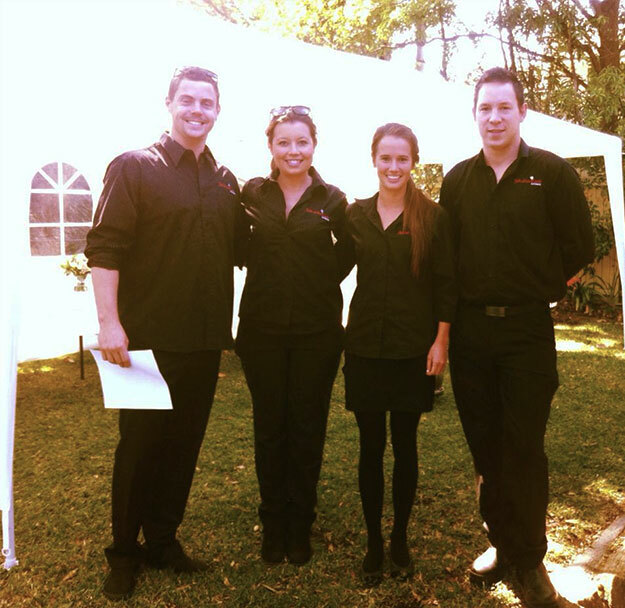 We can provide you with professional staff to help your function run smoothly. Our staff are all trained in the Hospitality industry and will arrive in uniform ready to help with any of your catering needs. As well as delicious food, we pride ourselves on a high level of service and will always leave your kitchen spotless! We require a 50% deposit to secure & confirm your booking. This can be made as a direct deposit, cheque, money order, Visa, MasterCard or cash. We accept MasterCard and Visa processed through PayPal. Credit Card transactions will incur a 3% fee. The balance can be paid on the date of your function in cash only. Changes can be made up to 48 hours prior to your function. We will do our best to cater for your needs up until the last possible minute. Cancellations within 14 days prior to your function will incur a fee of 20% of the deposit. Cancellations within 7 days prior to your function will incur the full deposit.